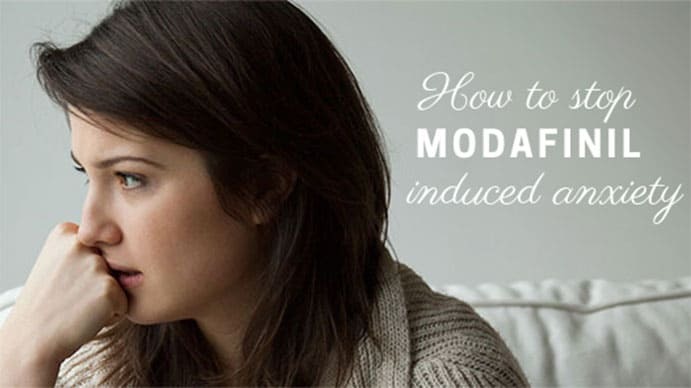 Anxiety is one of the most common side-effects of using modafinil — it can negatively affect our ability to reach peak performance. Since the whole point of taking modafinil is to boost alertness and productivity, this is something we should actively avoid. There is a perfectly good explanation for why modafinil can sometimes induce bouts of anxiety among users. Once we understand why this happens, it’s easy to figure out how to stop altogether. In this article, we’ll discuss why modafinil causes anxiety, and what you can do to reduce the chances of this happening to you. We’ll also provide some insight into various techniques and supplements you can use to stop modafinil-induced anxiety attacks in their tracks. 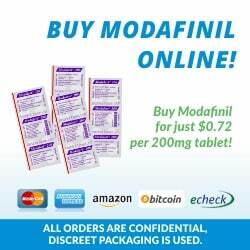 Modafinil is classified as a stimulant medication. This is because it has a stimulating effect on the central nervous system — composed of the brain and spinal cord. The benefits of the drug are directly related to this effect. Stimulating the central nervous system gives us a heightened sense of awareness, makes us feel awake and alert, and curbs hunger cravings and our propensity for distraction or procrastination. This effect is also the reason why modafinil can make us feel anxious. The nervous system can be separated into two halves — the sympathetic nervous system, and the parasympathetic nervous system. Anxiety is a direct result of modafinil’s stimulating effect on the sympathetic nervous system in particular — which is responsible for controlling our fight or flight stress response. 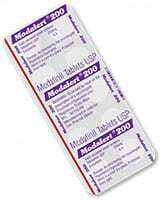 In this way, modafinil can enter us into a state of “fight or flight”. Ideally, this only triggers the fight or flight reaction a little bit — just enough to give us a heightened level of awareness. Sometimes this activation of the fight or flight response is too strong — pushing us towards a state of panic and anxiety instead. Our adrenal glands also become activated, releasing large amounts of cortisol, epinephrine, and more norepinephrine into the system. Anxiety is a perfectly normal and healthy response. It’s designed to help us quickly adapt to changes in our environment. The best example is when we come face to face with danger. Standing on the edge of a cliff, for example, is a common (and healthy) trigger of anxiety for most people. Being aware of the danger involved with being high up on a cliff triggers the fight or flight response in the brain. Specialized brain regions like the hypothalamus send hormones to other regions of the brain, the thyroid glands, and the adrenals — telling them to initiate the stress-response. All of these changes are very beneficial in the moment of danger. Anxiety gives us an opportunity to escape to a safer place or even fight off a hungry animal. Physiological changes caused by anxiety give us more chances to succeed and survive. Sometimes anxiety can go on for too long, become too intense, or come on at inappropriate times. Experiencing anxiety while on modafinil is a good example of a time where anxiety is not warranted. We’re not actually in any danger, so experiencing anxiety has no benefit to the body. So we need to take measures to prevent it. Just like anything else — prevention is the best cure. If we can stop anxiety before it even starts, we’re going to be way ahead of the game. 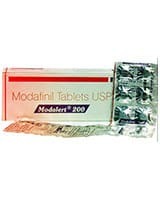 The first thing to try if you’ve been experiencing anxiety attacks with your modafinil use is to try using a lower dose. Modafinil affects everybody differently. Sometimes the normal dose for one person is much too high for someone else. There are a lot of factors that can lead to this, including bodyweight, additional drug or supplement intake, and genetic polymorphisms involving the liver enzymes that process modafinil. So if you’re experiencing anxiety, it may simply be that the effective dose for you is lower than the dose you’ve been taking. Many people find that simply lowering their dose from 200 mg to 100 mg or 150 mg is enough to completely avoid anxiety attacks altogether. 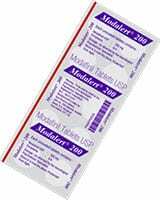 Most modafinil will come with a crease down the middle designed to help you split the dose in half easily. 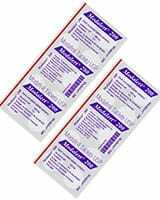 You can also buy pill splitters online that will help you cut your modafinil tablets into smaller doses evenly. 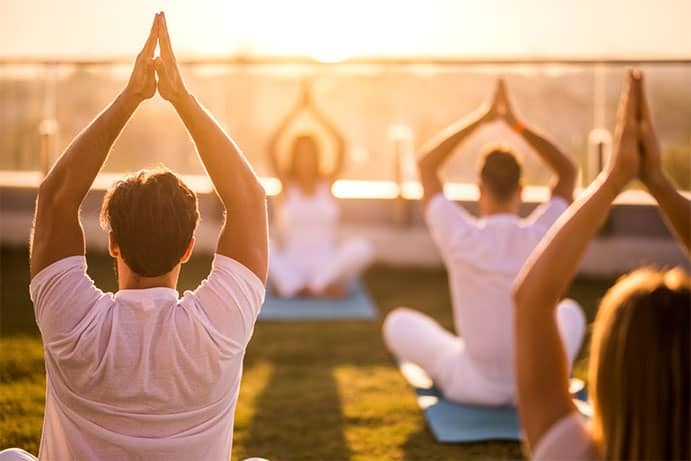 Meditation works as well as common Rx drugs for anxiety, even reversing damage and making your brain less anxiety-prone. Anxiety is caused by an overstimulation of the central nervous system. When we’re already stressed out, the threshold for these effects is much lower. So a modafinil dose that may not have triggered anxiety in us normally could be more than enough to induce an anxiety attack when we’re already stressed out. The best way to prevent this is to keep our stress to a minimum — effectively raising the threshold for anxiety attacks. Meditation and breathing exercises are a great way to achieve this. Slowed, rhythmic breathing, even for just a few minutes takes control of the central nervous system and overrides the stress response. It does this through control of the lungs, which serve as the gateway to the nervous system. Think about it, your lungs are the only organ you have that can be controlled automatically, as well as manually. By taking manual control over the lungs, and guiding it into a pattern of relaxation with slowed breathing you can effectively turn down the stress response. Try spending 15 minutes at the start of your day practicing slowed, rhythmic breathing before you take you modafinil dose for the day. This simple trick goes a long way in controlling stress, and therefore, anxiety attacks. Caffeine is a drug that can be found in a variety of beverages and is naturally found in coffee. Mixing modafinil with other stimulants like caffeine is an easy way to induce anxiety. The effects of different stimulants can build-up on each other to push you over the edge. 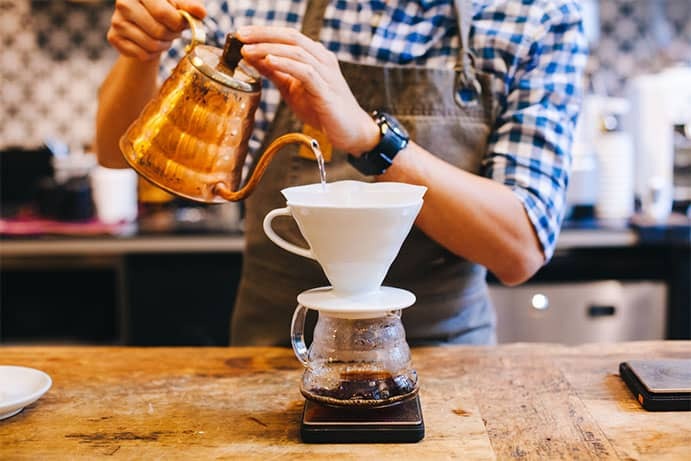 On days where you plan on taking modafinil, try getting a different beverage to take the place of your morning coffee to avoid triggering anxiety later on. Herbal teas are an excellent alternative to coffee. Some herbs, like passionflower, or chamomile will even provide an opposite effect — helping to keep you calm and relaxed and providing an overall reduction in stress and anxiety instead. L-theanine is a supplement made from an extract of the tea plant (Camellia sinensis). It’s an amino acid isomer — which means that it looks a lot like an amino acid, but has slight differences in its chemical structure. This supplement is popular as a combination alongside caffeine to prevent side effects like anxiety and jitteriness. It works just as well alongside other stimulants as well, including modafinil. I always take L-theanine alongside modafinil for this exact purpose — and have found it to be incredibly valuable. L-theanine also offers some cognitive improvements of its own, improving concentration and memory. Juneja, L. R., Chu, D. C., Okubo, T., Nagato, Y., & Yokogoshi, H. (1999). L-theanine—a unique amino acid of green tea and its relaxation effect in humans. Trends in Food Science & Technology, 10(6-7), 199-204. Park, S. K., Jung, I. C., Lee, W. K., Lee, Y. S., Park, H. K., Go, H. J., … & Rho, S. S. (2011). A combination of green tea extract and l-theanine improves memory and attention in subjects with mild cognitive impairment: a double-blind placebo-controlled study. Journal of medicinal food, 14(4), 334-343. The average dose for L-theanine is 200 mg per day — with some users taking as much as 400 mg per day alongside modafinil. If you start to feel anxiety coming on, it’s best to nip it in the bud before it turns in to a full-blown anxiety attack. A good way to do this is to simply stop what your doing, take a deep breath, and go for a short walk around the building, and outside if you can. This is often enough to break the activation of the stress response and allows you to avoid a more serious panic attack. Remember to focus on your breathing. As mentioned earlier, spending even just a few minutes of controlled, rhythmic breathing can take manual control over your central nervous system to shut off the stress response. People who haven’t yet tried this may be sceptical at first, but I assure you it’s the most effective way of managing anxiety attacks no matter what the cause it. Similar to the point above, changing tasks can also help alleviate an anxiety attack in the early stages. Often times the anxiety we’re experiencing is caused by stress or frustration from the work we’re doing. This stress and frustration can trigger the same fight or flight reaction brought on when we come face to face with real danger. Refocusing on something different for a while may be enough to stop the anxiety from becoming worse. Then once it’s gone, we can return to the task we were doing before. Your brain needs sufficient water to function properly. Even mild dehydration can affect mental well-being. Dehydration can cause anxiety, and modafinil can make us forget to drink water. This is a classic problem with modafinil use because if we become dehydrated while on modafinil, no matter what else we try we may not be able to stop it. Therefore, one of the first things you should always try whenever you start feeling anxious is to take a big gulp of water. Of course, this isn’t going to stop an anxiety attack immediately. 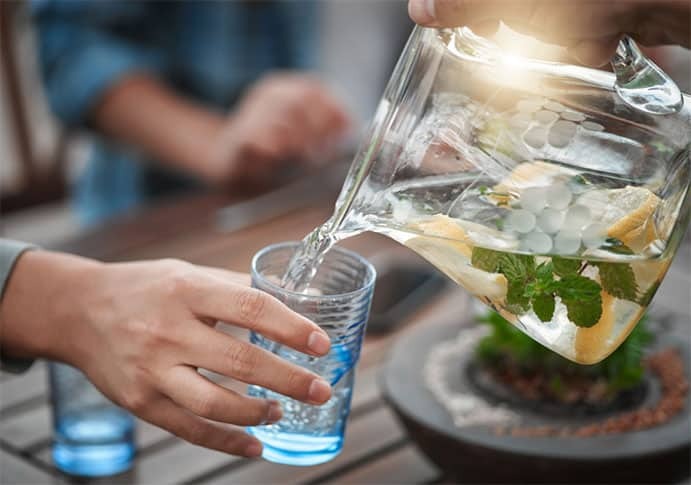 It can take anywhere from 30 minutes to an hour for us to rehydrate enough to alleviate side-effects so it’s best to avoid this problem to begin with by ensuring you’re drinking enough water throughout the day. Reduce alcohol, sugar, and coffee as these may increase episodes of anxiety. 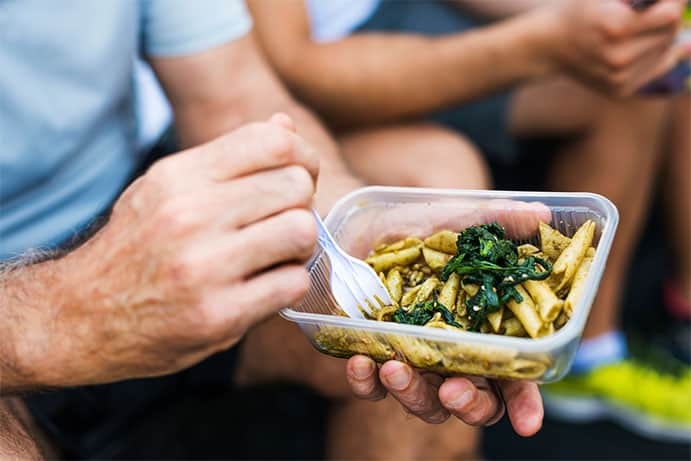 Similar to the point above, modafinil can inhibit our hunger cravings — leading to meal skipping after a long day on modafinil. This can lead to anxiety if our blood sugar levels drop too low, or we become depleted in essential nutrients like magnesium. Always carry a nutrient-rich snack or meal with you when taking modafinil and remember to eat periodically. Some people have found that setting a timer for themselves to remember to eat is the only way to prevent anxiety attacks, as well as physical burn-out later in the day. Modafinil is an excellent tool for boosting the feeling of wakefulness and enhancing productivity. Unfortunately, it can also cause side-effects like anxiety and panic attacks due to its effects on the central nervous system. Listen to your body, and follow some of the advice above to minimize your chances of experiencing anxiety attacks. If you know of any other techniques, feel free to leave a comment in the section below. 1. ↑ Juneja, L. R., Chu, D. C., Okubo, T., Nagato, Y., & Yokogoshi, H. (1999). L-theanine—a unique amino acid of green tea and its relaxation effect in humans. Trends in Food Science & Technology, 10(6-7), 199-204. 2. ↑ Park, S. K., Jung, I. C., Lee, W. K., Lee, Y. S., Park, H. K., Go, H. J., … & Rho, S. S. (2011). A combination of green tea extract and l-theanine improves memory and attention in subjects with mild cognitive impairment: a double-blind placebo-controlled study. Journal of medicinal food, 14(4), 334-343.